THE VW TIGUAN IS QUITE POSSIBLY THE BEST SMALL 4X4'S IN ITS CLASS TICKING ALL THE BOXES. 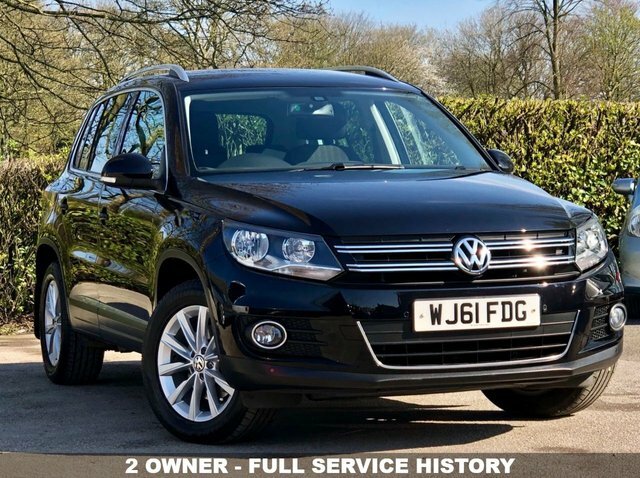 ON THE INSIDE IT IS SPACIOUS AND PRACTICAL, WITH THE CABIN HAVING A WELL BUILT AND QUALITY FEEL, AS YOU'D EXPECT FROM A VW. THE EXTERIOR IS STYLISH AND SLEEK, BUT ITS THE DRIVE THAT REALLY SETS THIS CAR APART, FEW 4X4'S ARE AS MUCH FUN TO DRIVE AROUND THE TWISTS THANKS TO CHASSIS ALLOWING IT TO CUT RATHER THAN ROLL THROUGH THE CORNERS. THE 2.0 ENGINE OFFERS POWER AND TORQUE WHILST STILL PROVIDING GREAT MPG. THIS 2 OWNER VEHICLE NOT ONLY LOOKS STUNNING FINISHED IN METALLIC BLACK BUT IT IS ALSO IN SUPERB CONDITION INSIDE AND OUT. 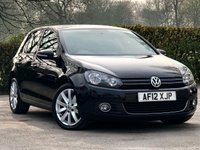 IT HAS BEEN WELL MAINTAINED WITH FULL SERVICE HISTORY CONSISTING OF 8 SERVICE STAMPS THE LAST DONE AT 58366 MILES ON THE 01/09/2018 WITH ALL BAR ONE SERVICE BEING DONE AT A VW MAIN DEALER. THIS CAR WILL COME WITH A FULL MOT + SERVICE + EXTENDABLE WARRANTY + 1 YEAR AA ROADSIDE ASSIST ALL INCLUDED IN THE PRICE GIVING PIECE OF MIND FROM THE MOMENT YOU DRIVE AWAY.